The Monuments Men arrives on DVD and Blu-Ray and is from beginning to end the George Clooney show. He directs and stars in the true story of the forgotten heroes of World War II, the Monuments Men. 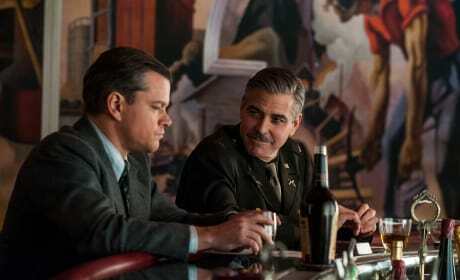 The Monuments Men shows the astonishing filmmaker that George Clooney has become. 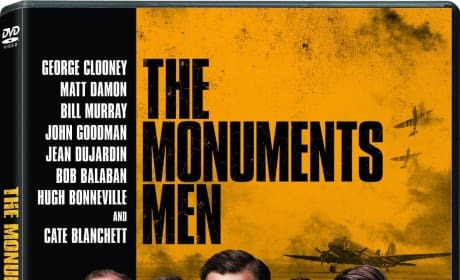 With the scope of an incredibly important true World War II story, our The Monuments Men review reports the writer-director-star has done something special. 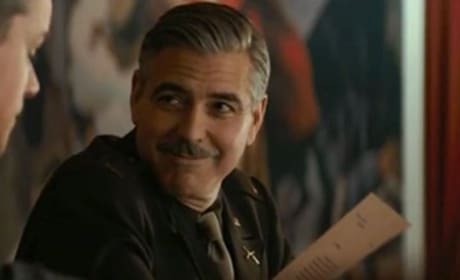 The Monuments Men writer and producer Grant Heslov talks exclusively about his long-term partnership with George Clooney. 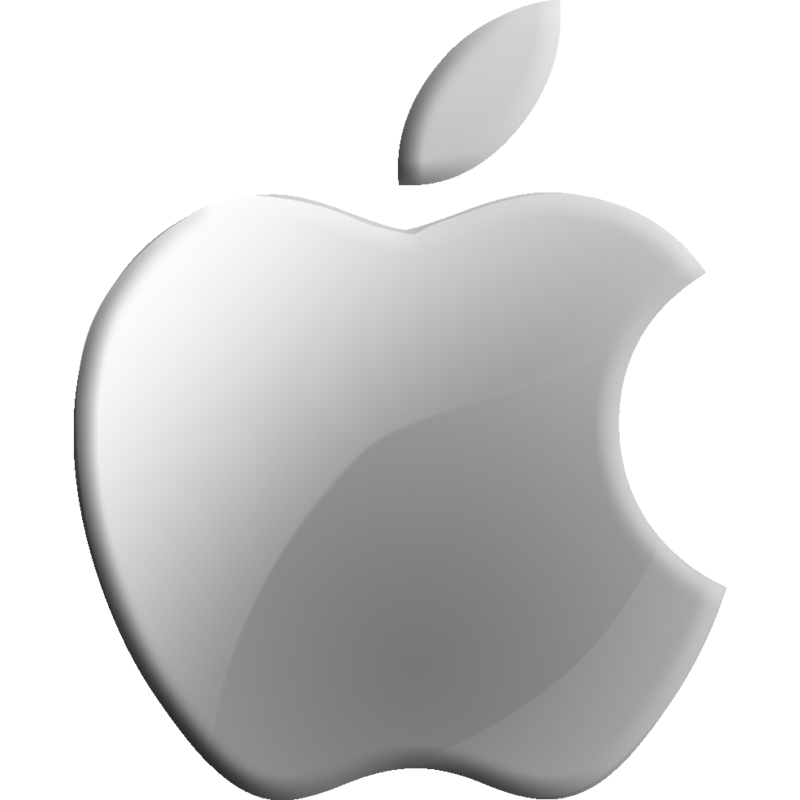 Heslov also dishes why Clooney is the perfect partner in artistic crime. 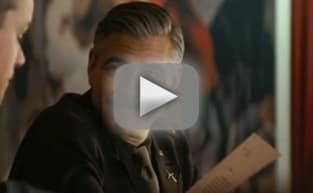 The Monuments Men: George Clooney on Wanting Brad Pitt & Not Matt Damon! George Clooney talks The Monuments Men and how if it was up to him, he'd pick directing over acting any day. Clooney also jokes about how he couldn't get Brad Pitt, so he got Matt Damon for The Monuments Men. Monuments Men “Newsreel” Trailer: Pledge Your Support! 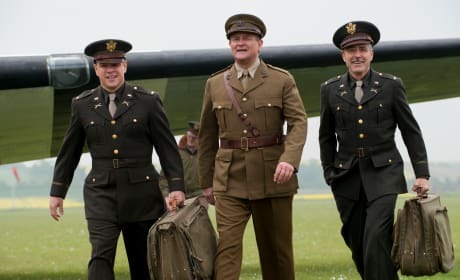 The Monuments Men has released its "newsreel" trailer that gives a real world feel to the true story of World War II bravery. 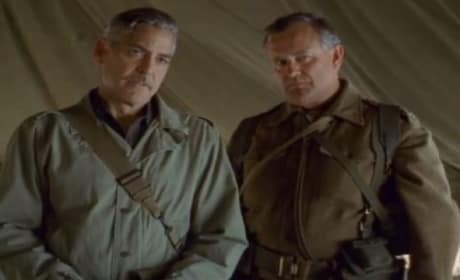 The Monuments Men is from director-star George Clooney. 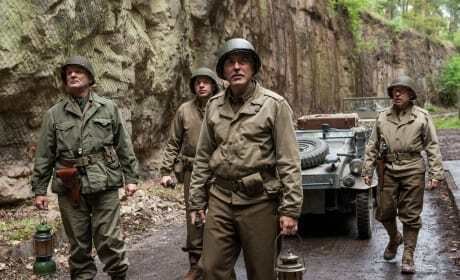 The Monuments Men international trailer teases George Clooney's World War II epic. The Monuments Men also stars Matt Damon, Bill Murray and John Goodman. 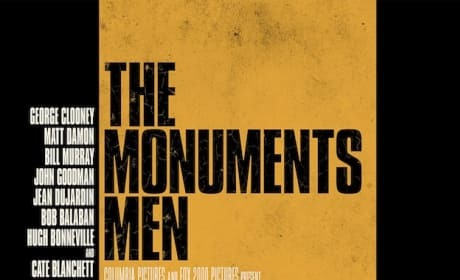 George Clooney has decided to delay the release of The Monuments Men until 2014. 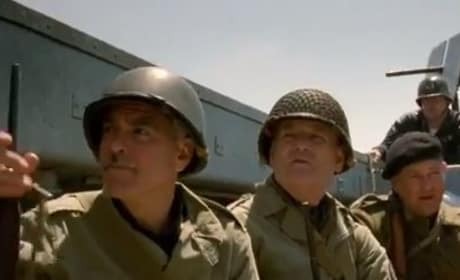 The decision for director Clooney is that The Monuments Men is not ready with its effects. 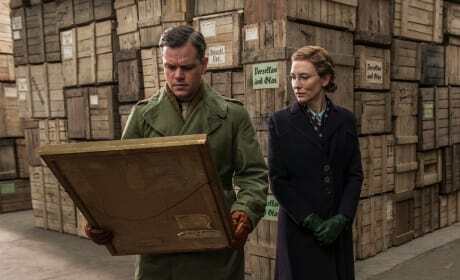 The Monuments Men has released its second trailer and it's easy to see how the film has such Oscar buzz. 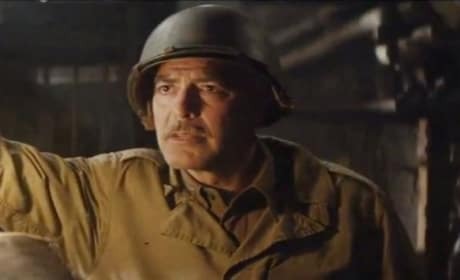 George Clooney directs and stars in the true story of the men who tried to save the art and culture Hilter sought to destroy if he could not own. A new poster has arrived for The Monuments Men, starring George Clooney. 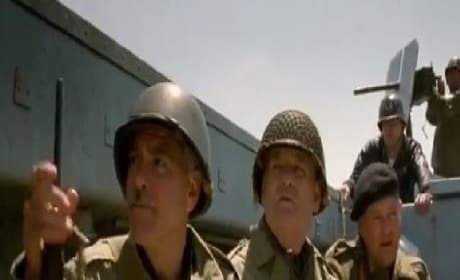 Clooney also stars, along with Matt Damon and Bill Murray. The Monuments Men tells the true story of the World War II platoon assigned to rescue hundreds of priceless pieces of art from the Nazis. 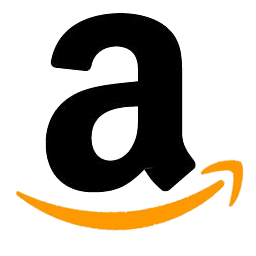 The film is directed by and stars George Clooney.